In an evening titled Reflections, the Cairo Impro ensemble will deliver two duets at the Cairo Institute of Liberal Arts on 8 September. Cairo Impro was founded by Egyptian composer Bahaa El-Ansary and Polish guitarist Pawel Kuzma. 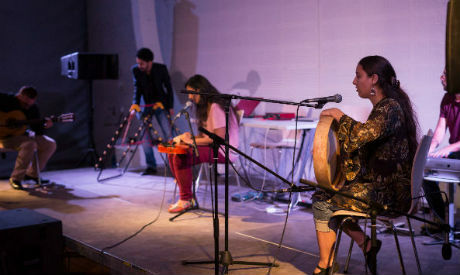 The musicians use instruments and objects to produce sounds that are free from traditional music structures, instead giving way to free improvisation and experimental sounds. They often invite the audience to contribute to the music and give suggestions. The first duet of the evening will feature El-Ansary with Samer Shenouda, while the second will feature Kuzma and Jaqueline George.